In 2014, Sergio Reyes Armas and Jose Degollado were engineering students together at the Technológico de Monterrey. Degollado was taking one of the hardest classes of his college career and bemoaned to Armas that he couldn’t find the help he needed for the challenging work. That same semester, Armas was working on a project for an entrepreneurship class that required him to design a solution for a problem that affects one’s daily life. One day, they shared a conversation that would turn them into co-founders. What started was Prentige, an online tutoring platform that allows college students to receive personalized tutoring on-demand. Yet momentum finally began to build when they went to a conference in Las Vegas and serendipitously met their soon-to-be co-founders. 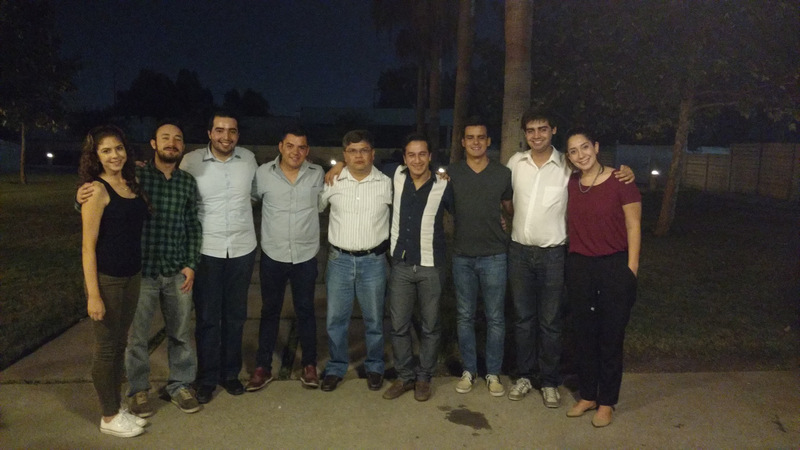 Leonardo Miron and Macario Oretga also happened to be developing an online tutoring platform in Mexico City. 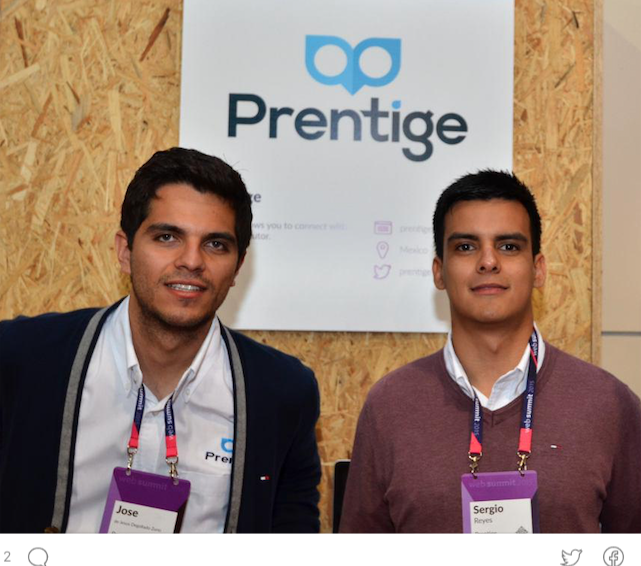 Both men were a few years older, had more experience in startups, and saw the potential in Prentige. After a few months of negotiation, the four united as a team. 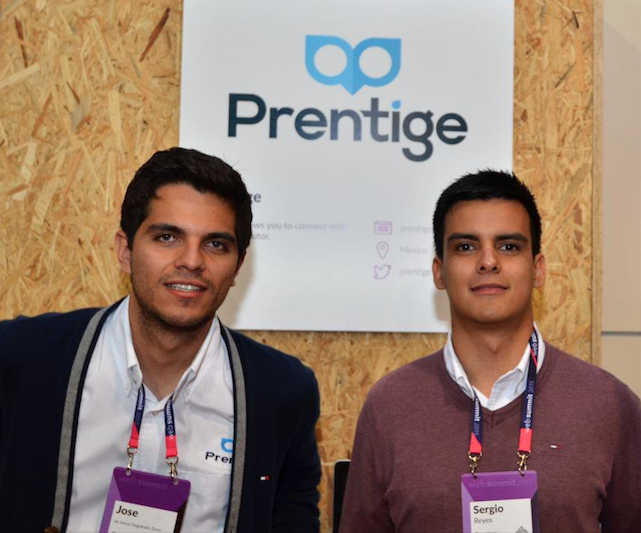 Jose Degollado and Sergio Reyes Armas, Co-Founders of Prentige. Photo courtesy of Prentige. How it works is students, generally between the ages of 18 and 22, create a profile, log in, and search for a topic. They receive a list of tutors who are available for that topic, their rates, and their ratings. Students then choose which tutor they want to work with and either start a session or schedule one for later. 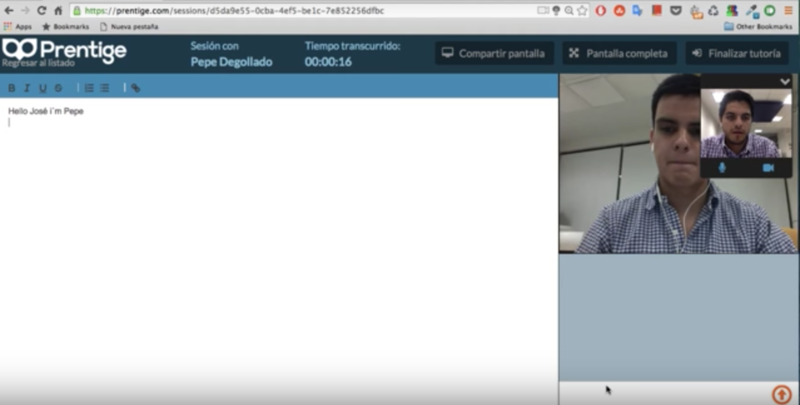 During the session, students and tutors communicate through video chat and follow an interactive lesson plan document that allows the students and tutors to take notes in real time. As for becoming a tutor, the process is straightforward, but the bar is set high in order to target true experts in one’s field. A tutor must fill out an application and submit their CV. Then, if selected, the Prentige team interviews and approves them. Once tutors are approved, they fill out a profile of their availability and areas of expertise. During the session, students and tutors communicate through video chat and follow an interactive lesson plan. Photo courtesy of Prentige. Currently, Prentige has 1700 students and 150 tutors using its platform. On average, students who use Prentige improve their exam scores by 40 percent. The topics covered range from calculus and physics to more career-oriented topics like accounting and statistics. While Prentige currently focuses on topics that students commonly have difficulties with, they hope to develop a more nuanced system where students can find specific topics more easily. The Prentige team is actively expanding their community in other ways, too. In addition to its direct to consumer model, Prentige also has a B2B model by building internal tutoring platforms with academic institutions. They are currently partnered with their alma mater, Technológico de Monterrey, and plan to partner with more universities this year. “Prentige enables experts to share their knowledge, but it is also building relationships. Little by little, we are creating a community.” Here, a reunion of some Prentige tutors. Photo courtesy of Prentige. Cecily is a journalist and content strategist. 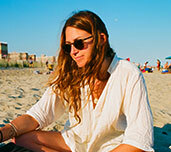 She covers topics related to entrepreneurship, cultural identity, and social impact. In no particular order, she is a dog lover, outdoors enthusiast, and hot sauce connoisseur.